Action Limousines has been an important part of the NJ wedding limousine scene since 1979. As you plan for this most important occasion, you will want to make sure that all those involved in your wedding – from the chauffeur to your caterer – are highly trained professionals with years of experience in their respective businesses. 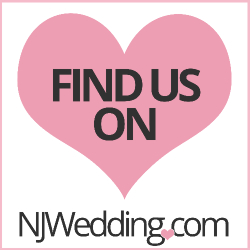 View some of our NJ wedding testimonials. The wedding limousine is as much an American tradition as the bridal bouquet. On this most special of special days, nothing can be left to chance, especially ensuring that the bride and groom and the wedding party members get where they need to go when they need to be there – and get there in style and comfort. We have the best selection of vintage and exotic New Jersey wedding vehicles – Rolls Royce & Bentley – NJ Wedding buses and coaches, Wedding SUVs , Wedding Limousines and Sedans to fit your every wedding transportation need on your most important day. Check out our newest NJ wedding limousine – 1960 Austin Princess Rolls Royce!